JetBlue Airways Corporation (NASDAQ: JBLU), stylized as JetBlue, is an American low-cost carrier, and the 6th-largest airline in the United States. It is New York’s Hometown Airline and a leading carrier in Fort Lauderdale- Hollywood, Boston, Orlando, San Juan and Los Angeles serving more than 38 million customers per year with a fleet of 240 aircrafts; with an average of 1000 flights daily in more than 100 cities in the Caribbean, Latin America and the U.S as of 2018. Its mission is to provide premium service in every aspect of its customer’s air travel experience. Its main base is at John F. Kennedy International Airport and maintains corporate offices in Cottonwood Heights, Utah and Orlando, Florida. It has more than 21000 crew members contributing more than 175,000 volunteer hour service in 2016 and has its headquarters in Long Island City, NY. $6,632 million – FY ending 31st December, 2016. 1. Its three primary advantages: Differentiated products and culture, Competitive costs, High value geography: Irrespective of the competition in Airline industry JetBlue offers its customers three primary services of: a) Differentiated products and culture: Their products and services such as free TV on each seat, satellite radio, more leg room in coach, snacks and internet services called ‘Fly-fi’ are the most compelling ones in the market. b) Competitive costs: Compared to its competitors Southwest Airlines (LUV) and Delta Air Lines (DAL) its cost structure is lower enabling it to offer attractive fares, network growth and focus on its profitability and shareholder returns. Some of its shareholders are Fidelity Management and Research Company (9.34% total shares), Vanguard Group Inc(8.47% total shares), etc. c) High value geography: It operates in some of the largest air travel markets in the U.S with operations in 6 focus cities of New York, Fort Lauderdale- Hollywood, Boston, Orlando, San Juan and Los Angeles with a plan to grow its network with most of its 800 daily flights of operation touching at least one of these focus cities. 2. Recipient in Highest Customer Satisfaction: It wants to offer its customers a distinctive flying experience which it calls ‘JetBlue Experience’. The airline caters to the majority of travelers who have been underserved by other airlines, rather than those high-traffic business travelers or ultra-price sensitive travelers. It offers free branded snacks and non-alcoholic beverages. Its premium ‘Mint’ cabin provides lie-flat seats and private suites, other seats provide more legroom based on average fleet-wide seat pitch. Most flights have 36 channels of free DIRECTV and 100 channels of free SiriusXM satellite radio. It serves as a low cost airline across 82 destinations in the U.S, Latin America and the Caribbean. For the safety and security of its customers it has started the ‘Customer Bill of Rights’ which covers the redress of customer grievances such as flight cancellation, rescheduling etc. Some of its awards comprise ‘Best U.S airline 2017’ by American Customer Satisfaction Index, ‘Best Low Cost Airline in North America 2017’ by Skytrax, ‘Top 10 best airline in the world’ by TripAdvisor Traveler Choice Awards 2017. 3. New and efficient aircrafts in its fleet: Amongst any other major U.S airline it has the youngest fleet of approximately 240 new and efficient aircrafts. With the amendment of purchase agreement with Airbus in July 2016 for the addition of 30 Airbus A321 aircrafts to their order book. This incremental in aircrafts will allow them to expand and continue to grow profitably particularly in transcontinental market. To bring a cap on net aviation CO2 emissions and bring it down by 50% in 2050 from 2005 level; its aircrafts have added Sharklets – curved extensions to the wing that provide greater aerodynamic lift and improve fuel efficiency by roughly 3 percent. 4. Sustainability and Climate Leadership: JetBlue Airways focuses on recycling and reusing materials both in air and on ground. Under the onboard recycle program launched in 2013 the in flight crewmembers separate bottles and cans from other waste and their ground members send them for further processing. In its partnership with Royal Waste Services in the first 7 months they composted 9590 pounds of material. JetBlue have recycled over 37,000 lbs. of uniforms, all of which were donated or reused for fabric — none went to landfills. In our support centers, crewmembers at JetBlue have donated and recycled nearly 1,000 cellphones. At the airport, crewmembers have safely recycled thousands of pounds of batteries, light bulbs, chemicals and fuel oil since 2010. It has even experimented with urban farming at JFK Airport New York by growing blue potatoes. In 2012 it received the LEED (Leadership in energy and environmental design) Silver award. JetBlue sponsored the planting of 25,000 trees by the US Forest Service. The planting was completed in August 2015. 5. TrueBlue and Partnerships: With the launch of new co-branded credit card partnership with Barclaycard on MasterCard network will help them in making travelling easier and more affordable. They also have separate agreements with American Express that allows the cardholder to convert their Membership Rewards points to TrueBlue points and in 2016 similar agreement took place with Citibank. JetBlue has partnered with some of the international carriers like Aer Lingus, Air China, Air India for interline travel. 1. Social initiatives and goodwill: JetBlue with its ‘Vet in Blue’ initiative commits to hire current and former military heroes across all the areas of the Company. With its partnership with Jobs Mission it plans to induct 300000 veterans by 2020. However, JetBlue’s success depends highly upon the experience provided by the crewmembers on ground as well as sky. Leveraging on the strength to be service oriented help them to differentiate from the competitors. Its ‘JetBlue Gateway Program’ has helped its crewmembers and students to induct in the industry and realize their goals. It has ranked 19 on the America’s Top 500 Best Employers List by Forbes Magazine. However these initiatives have helped it get goodwill in U.S market for attracting potential consumers. 1. JetBlue Technology Ventures: Continuous revamping is applied to JetBlue initiatives to introduce newer technologies which help improve and optimize operations. Disruptions in them tend to affect the company’s operations owing to its dependence on technology for operations. This poses significant challenges in terms of costs, human resources, and effective internal controls. To avoid this JetBlue Airways has started a venture capital subsidiary called JetBlue Technology Ventures in February 2016, which invests and partners with early stage startups for technological inventions with a focus on travel and hospitality sectors. 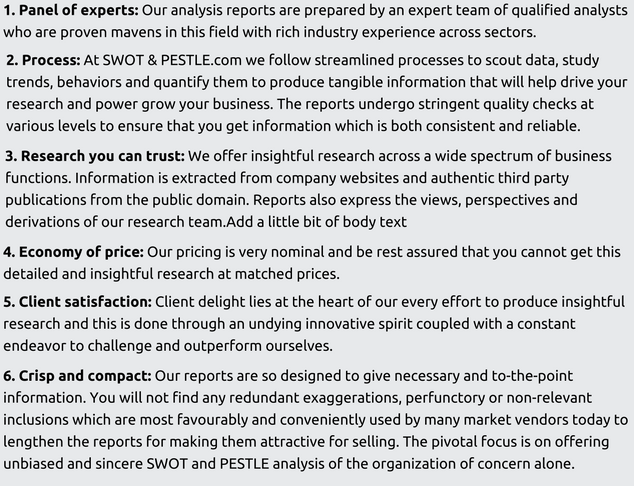 The firm prefers to focus on airlines, airports, and aerospace manufacturers. It runs an accelerator program which invests $0.05 million in each startup in exchange of equity. Some of its investments are in hyper-local weather forecasting Company ClimaCell, Investment and Partnership with Global Startup Platform for Travel Technology. 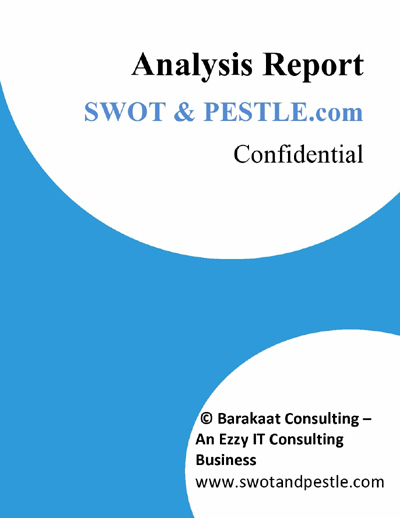 JetBlue Airways SWOT and PESTLE analysis has been conducted by and reviewed by senior analysts from Barakaat Consulting. 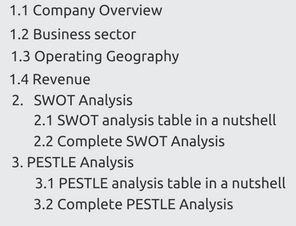 Copyright of JetBlue Airways SWOT and PESTLE Analysis is the property of Barakaat Consulting. Please refer to the Terms and Conditions and Disclaimer for usage guidelines.